Yeah, it’s a hat. So what? I want to show you my favorite Christmas present this year. It is precisely what it seems to be – a simple, unadorned hat. And that’s the point! Allow me to explain. CC made this hat for me. It therefore fits better than any store-bought hat ever could. She made it because she’s heard me complain for years about my inability to find a hat with two key attributes: 1) That it fits my big head; and 2) That it has no corporate logos, no sports team logos, and no extraneous decoration (e.g., metal bands, hip-hop culture, Hello Kitty, or any combination thereof), any of which would likely misrepresent my actual affiliations and senses of dignity and decorum. 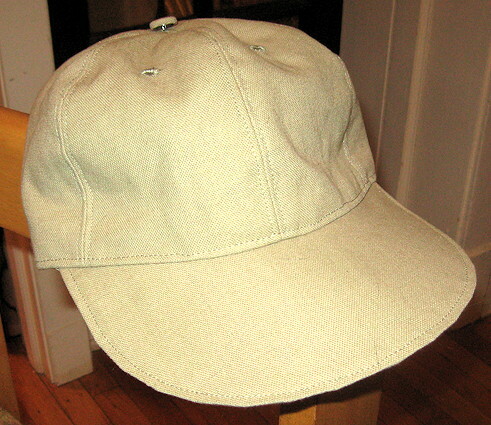 Long ago, I owned a lovely plain gray baseball cap that met all of my spartan criteria. Alas, in a careless moment, I left it atop a Ms. Pac-Man machine in the Cleveland Greyhound station as I boarded a bus to Buffalo. The years since that sad day have seen me sport a variety of logo-emblazoned caps, none of which have reposed elegantly upon my ample cranium. Along the way, I have endured terminology ranging from “pin head” to “short bus.” So this seemingly humble cap has immediately become my very favorite item of clothing. Thank you CC! Any chance for a hiphop metal hello kitty hat next christmas? If it fit like this one, I'd wear it.